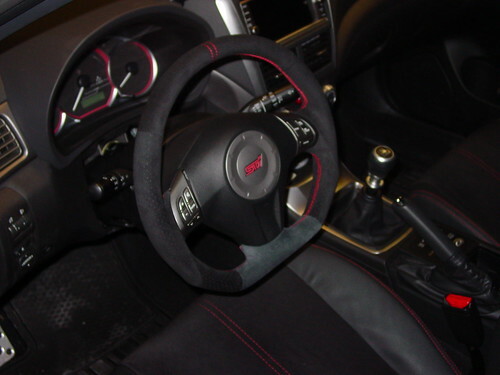 I'm considering a rex hatch for my next purchase but I find the standard steering wheel to be somewhat offensive and just uber uncool. Seeing how a brand spanking new hatch isn't within my price range I'm thinking I to get an older model and remove the stock wheel for the surprisingly seldom found momo wheel. Does anyone have any experience doing this? I must admit that I haven't researched it very throughly so I'm keen to hear from people who have also looked into the same exercise but might have thought better. What year car? Airbag/no airbag? Road reg or rally reg? I wouldn't be removing airbags just for a cool wheel though. Changed mine, piece of piss. I find your post in "introductions" more offensive than the steering wheel in the WRX? Which particular model are you looking at? I dont understand what is so ugly about them? Replace the core with a prova, zerosports or n-spec. Not sure what you don't like about the stock one though? thanks for moving the thread impresiv. Brain Fart, or some kind of female distraction is likely to blame . Cheers for the reponses. I'm still undecided on the year range that I'm looking at but I'm looking between 02-07. Bug eye - pig eye. After a knarly car crash last year I'm a big fan of the airbag so I'm keen to keep it but the wheels themselves.. Holy crap the stockers are uglier than betty. Great to hear it's been done and can be done. Those damd and prova wheels are horn.